Since 1980, Jack Stabb has renovated homes, built custom additions and completed both straightforward and complicated repairs throughout Orinda, Piedmont, Montclair, and the Oakland-Berkeley Hills. Long-term experience and long-lasting relationships with prior clients distinguish Jack as one of the most trusted and reliable general contractors in the Bay Area. From high-end kitchen and bath remodels to historic home renovations, seismic alterations and upgrades, structural corrections, and commercial improvements and repairs, Jack’s finished projects exemplify the highest standards of quality and accomplishment. His trusted team of industry professionals are known for providing guaranteed workmanship in a timely manner at a fair price. Jack personally supervises his crews and actively participates in the day-to-day construction to ensure efficiency, owner advocacy, and clear communication. Trusted, reliable, and backed by a sterling reputation that puts clients and quality above all else, Jack Stabb is the juggernaut of general building construction and the right choice for your construction needs. Incorporated in 2008, Hometelligent specializes in creating happy clients. 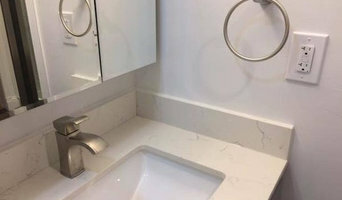 To that end, Hometelligent provides superior general contracting services with an emphasis on room additions, custom cabinetry, remodeling projects, and sustainable solutions. Whether your home requires a complete kitchen remodel or new energy-efficient windows, Hometelligent has the skills to provide all of your contracting and construction needs. Under the leadership of Silvio Dobrovat since 2000, an extraordinary level of customer service is what you can expect when you work with Hometelligent and their skilled artisans and contractors. With its customer focus, Hometelligent is committed to work excellence. No job is truly complete until the customer is well satisfied with the result. Hometelligent achieves its positive results through careful planning and demonstrated best industry practices. Moreover, Hometelligent offers competitive rates and is always excited to infuse green materials and sustainable practices into each project. High-end General Contractor, serving Architects and Homeowners in the Berkeley Hills and East Bay Area. Specializing in Additions, including larger remodels with new kitchen or master suites. Reputation for great communication, high level of craftsmanship & attention to detail. Polite, concientious, friendly crews. We believe that a team of professionals dedicated to your project from concept to completion serves you best, so we really enjoy working with highly qualified designers. If you haven't chosen an Architect or Designer yet we can help guide you in choosing the best firm for you project. 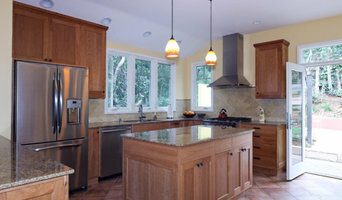 FMSProjects, Inc. is a more distinct remodeler than most. We listen. We help to decipher what you really want and how we can best meet those needs. We are not always the lowest bid, yet we are committed to providing quality craftsmanship and have for over 30 years in the Bay Area. Our process focuses on personal attention to detail, professional management and stellar communication throughout the lifecycle of your project. We are confident that you will not only love the finished results but the journey we take together. Reach out today! We are a design-build construction company that specializes in high quality residential remodels in the East Bay. We are dedicated to building with the best available materials to suit our clients' budgets as well as the highest level of skill we can bring to the table. Our aim is to leave the client satisfied that they have been given the best level of construction service available. We pride ourselves on the fact that many of our former clients have become close friends whom we have ties to after many years. We've been in business since 1993 and specialize in residential remodeling. We seek collaborative relationships with architects, designers, and engineers for room additions, whole house remodels, and kitchen renovations. General, or construction contractors, are often known as project managers. They oversee the entire remodeling or new home construction project and facilitate all day-to-day tasks that move it toward completion. A Berkeley general building contractor will work with your architect to review plan as you build a house and ensure everything is in place before work is started as well as arrange for permits and necessary inspections. While good local home improvement contractors in Berkeley will have the skills to handle certain tasks onsite, such as carpentry, he or she is also responsible for hiring subcontractors for the majority of jobs, such as electrical work, painting or plumbing. In addition, the general contractor should be on-site regularly to inspect the progress and resolve issues. Here are some related professionals and vendors to complement the work of general contractors: Architects & Building Designers, Interior Designers & Decorators, Landscape Architects & Landscape Designers, Kitchen & Bath Designers, Specialty Contractors. Home remodeling contractors are a must for successful completion of a renovation. 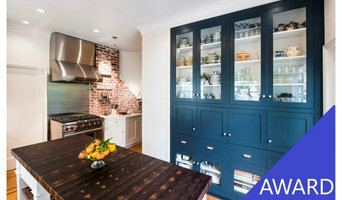 Because of this, it's essential that you do your homework before deciding on the right general contractor in Berkeley as you remodel or build a house. Inspect bids carefully. Was it ready when the contractor promised it? Was the bid for building a home unusually high or low? Each of these things can be very telling: A late bid may reflect timing standards, and an off-the-mark bid could be code for a pricey premium or a deliberate underbid to score the remodeling job. You should call references, carefully read reviews and visit completed projects in Berkeley, CA to see if they’re what you expect for your job. Once you do secure your local Berkeley contractors, read the contract very carefully to be sure everyone is on the same page. Find a Berkeley contractor on Houzz. 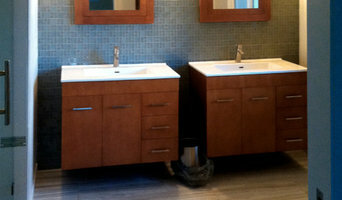 Narrow your search in the Professionals section of the website to Berkeley, CA home contractors. 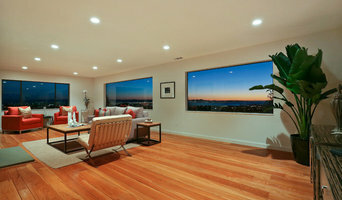 You can also search for photos in Berkeley, CA and contact the Berkeley general contractor who worked on the project.